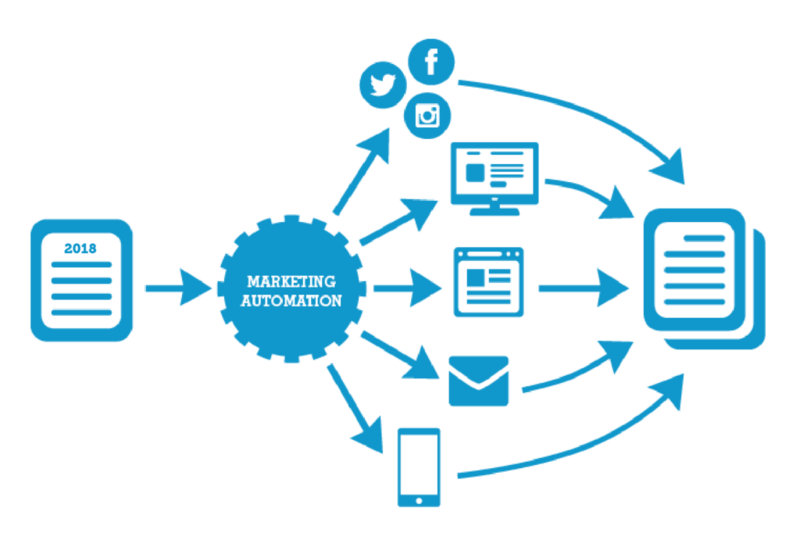 Marketing automation is the use of software and Web-based services to execute, manage and automate marketing tasks and processes. In less “jargon” speak – automation is a way to save time and use technology to help drive leads. 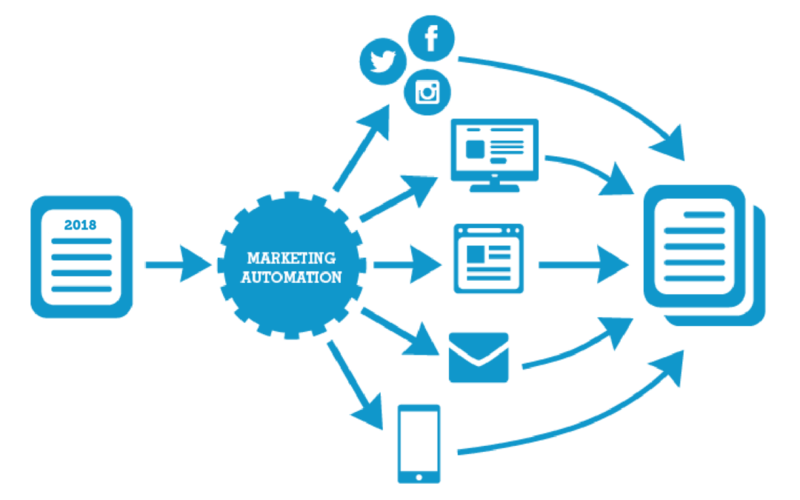 Marketing automation efficiently manages repetitive tasks including emails, SMS messages, social media, online advertisements, and more. Like most technology, marketing automation is constantly evolving to meet the needs of marketers. When used successfully, it can drive increased conversions, boost leads, and ultimately generate more revenue. There is a common misconception that marketing automation is only relevant for email. Email marketing is one of the easiest marketing functions to automate. However, social media, lead generation, management activities, landing pages, and many other marketing activities can now be automated. I have heard so many people tell me they won’t use automation as it is “spam”. Spam is considered to be any marketing message that is delivered “without warning”. The reality is that spam is simply irrelevant content. Marketing automation allows you to send relevant content and information to your audience based on who they are, their interests, and even how they discovered your business. Automation means more chances to get in front of the right consumers for higher conversion rates and increased revenue. So how can automation be used in business? Higher level of customer service – automation can help to maintain communication with your customers. With the right personalisation and content delivery you could be reaching out to your customers on a regular basis, with information they actual need and want, and therefore you keep them engaged. This may be through email, social media or SMS. Boost revenue through up-sells – you would have seen on website (especially e-commerce facilities) things like, “others also bought” or “customers also looked at.” These recommendation emails can be automated and are tailored to individual consumer buying preferences or previous browsing history, which is a powerful personalisation component. Social media scheduling tools – Facebook has its own scheduling system whereby you can plan, prepare and schedule your posts months in advance. You can auto-post from Instagram to Facebook. There are also third-party scheduling tools that work across many social media platforms simultaneously, such as Hootsuite. Abandoned carts – According to 2016 research, the average digital shopping cart abandonment rate worldwide stands at 74.3%. That’s huge! By automatically sending triggered emails to those who left unpurchased items in their cart, marketers can help encourage to close the sale. Increase email open rates – Automation tools store historical consumer data, which, in turn, increases the optimisation of email open rates. Whether through subject line A/B testing, or ensuring an email is populated with the right content and sent at just the right time, these solutions result in data-driven decisions and results. Gone are the days of marketers manually breaking apart every inch of data. With the right automation in place, you can analyse consumer behaviour to help drive conversions, whilst at the same time reducing the manual hours you spend on setting up communication to your customers – leaving you with more time to drive and grow your business. If this all sounds like too much and your head is starting to spin – then call us and talk to us about what you are trying to achieve and we’ll help you get your business automated in a jiffy. Fill out the form below to arrange a free consultation and find out about your best marketing options. Do you need some Industry based Mentoring help? If you feel that you need a mentor who understands the Industrial side of business and can get to the crux of your problems - contact us. Yep! I need some guidance please. We help Manufacturing, Distribution & Engineering companies from all over Australia.